To paraphrase poet Elizabeth Barrett Browning, how can a short sale fail? Let us count the ways. A short sale can fail to the depth and breadth and height the soul of a nervous buyer can reach. It's normal to be fearful that a short sale will fail because you hear more about the short sales that don't close. But many short sales also close. On average, two out of every three attempted short sales do not fail; they close. Your odds of closing a short sale greatly increase in direct proportion to the number of successful closings handled by the listing agent. That's not to say that a novice agent can't handle a short sale, but experienced short sale agents often learn from their mistakes. An inexperienced short sale agent might not have faced some of the problems inherent in short sales nor have access to a quick solution, which could cause your short sale to fail. Many times, real-estate agents find themselves bounced between first and second lenders. First lender might not agree to meet the second lender's demand. A third lender might refuse to play ball at all. Some second lenders push sellers to commit short sale mortgage fraud, which could happen if the lender demands a payment outside of the HUD-1. Many servicing guidelines require that the home be occupied. They may go so far as to insist that the seller move back in, and many sellers cannot afford to do so. You will have a better chance of closing your short sale if the seller lives in the property. Banks demand seller contributions all the time, even if the seller has no money and no assets. The bank might insist that the seller kick in cash or sign an interest-free, long-term promissory note. Many states allow deficiency judgments when lenders take a short payoff, regardless of whether the financing is purchase money or a hard money loan. Not every lender will agree to remove deficiency verbiage from a short sale approval letter. Even in situations that are exempt from deficiencies, doing a short sale might change or alter the sellers' exemption. It's possible that the servicing guidelines might not contain any provisions for a short sale. In that event, the short sale will not be granted, even though it may have appeared all along that the bank would approve the short sale. Also, some PSAs make more money if the home goes to foreclosure due to incentives in the guidelines. 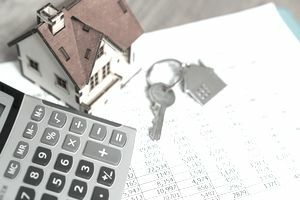 A quick check of the public records would disclose liens filed against the home or the seller, but few buyers order a title check until they get short sale approval. Some types of liens will follow the seller even after a foreclosure and will require payment before the short sale can close. Generally, banks will not pay those liens. Sellers have experienced receiving calls from a bank which had previously refused to offer them a loan modification, now wants to give the sellers an incredible repayment plan that the sellers can afford to pay. Vacant homes can be sitting ducks for thieves. Water pipes can break and flood the home. Lightning can strike it and burn the home to the ground. But more often than not, thieves break in, steal the appliances and rip out copper. Banks often will not pay for repairs. Some short sales can take so long to get approved that eventually, the seller will find a job. Once employed and earning a good income, the seller may no longer qualify for the short sale. The buyer might need a credit toward closing costs, and the bank might refuse to pay it. Buyer's closing costs can amount to 3 percent of the sales price, almost as much as the minimum down payment for an FHA loan. If the homeowner's association dues are in arrears, a bank might refuse to pay those fees, among other charges.